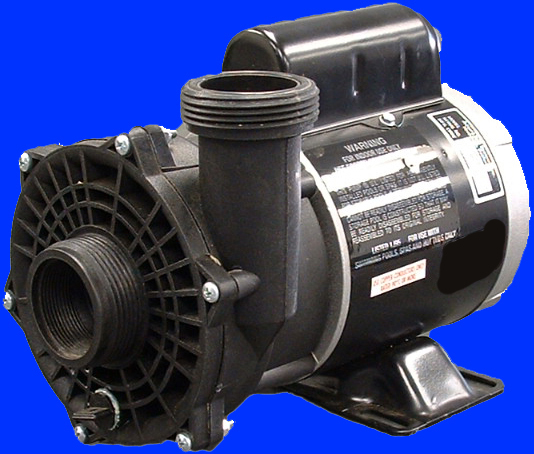 $209.95 BN34 electric motor free freight, $209.95 replace waterway pump free freight, $209.95 1.5 HP 230v 2 speed Aqua-Flo pump free freight. 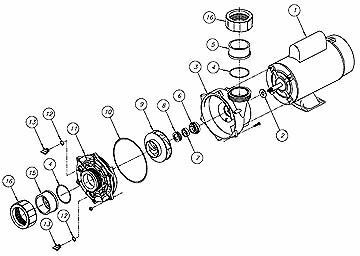 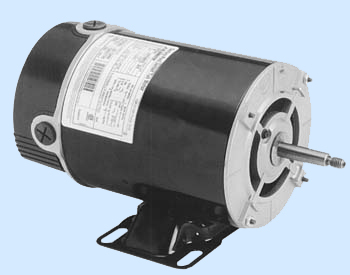 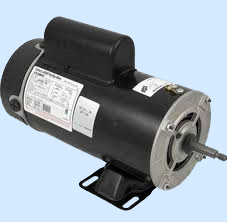 Catalog number BN34 is a 48 Frame through bolt pool and spa pump motor: "LASAR" Line (low amp start and run) 2-speed, UL 1081 and UL 1563 approved. 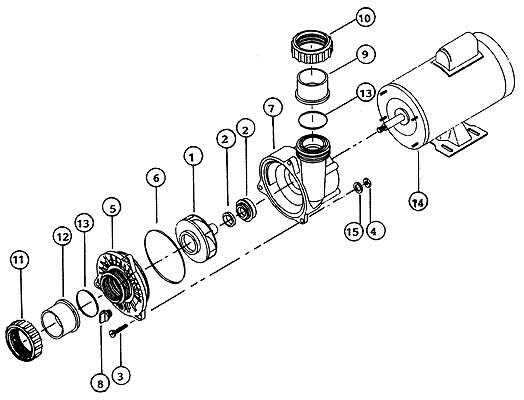 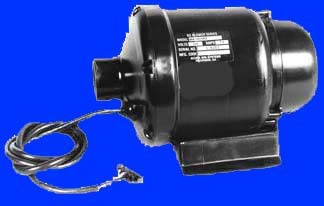 Capacitor start, 2/4 pole, ball bearing. 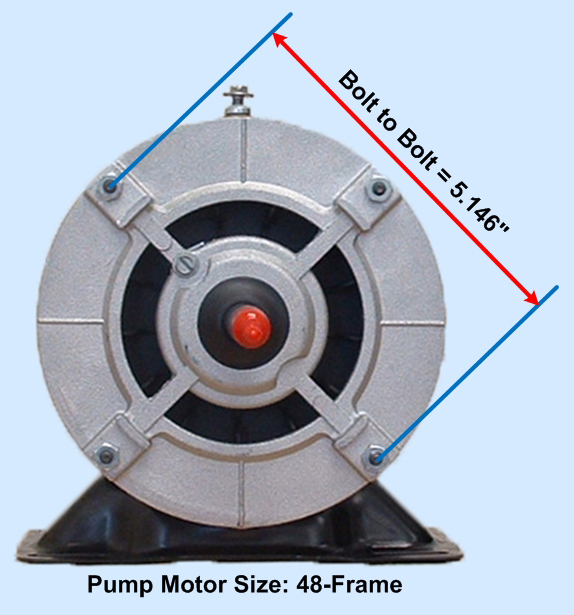 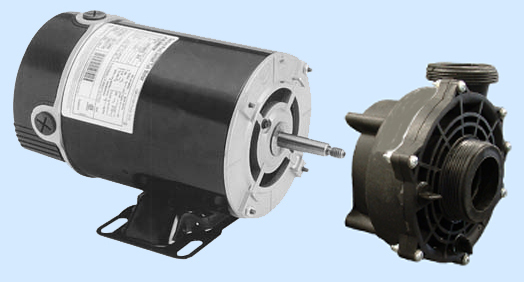 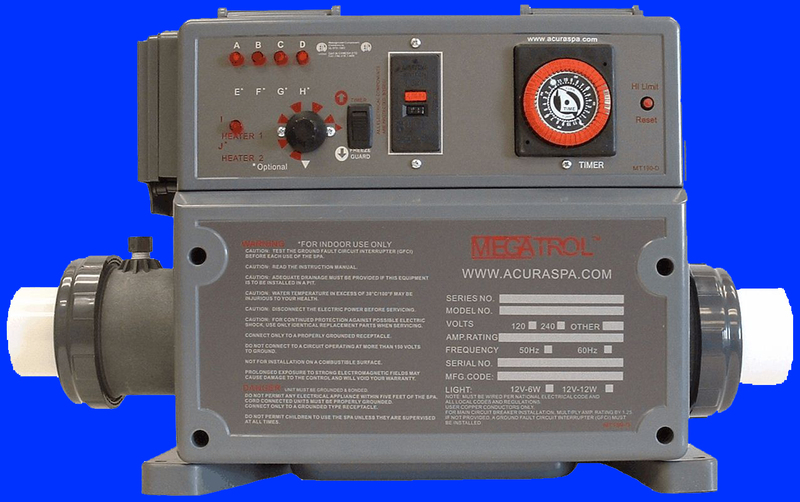 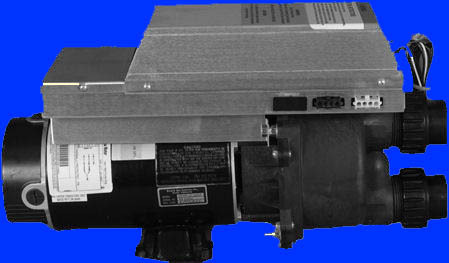 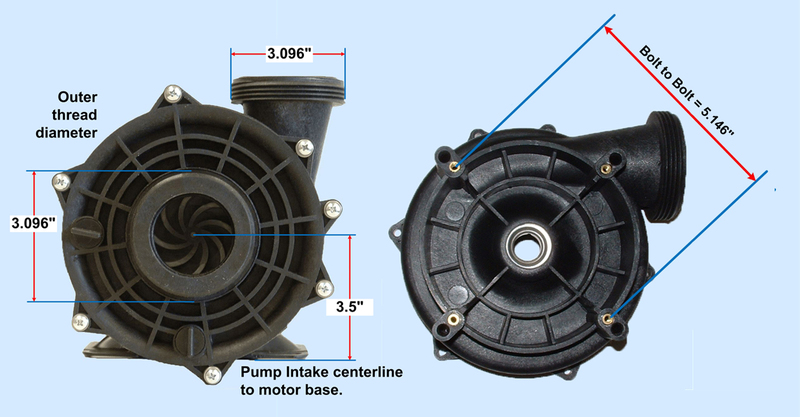 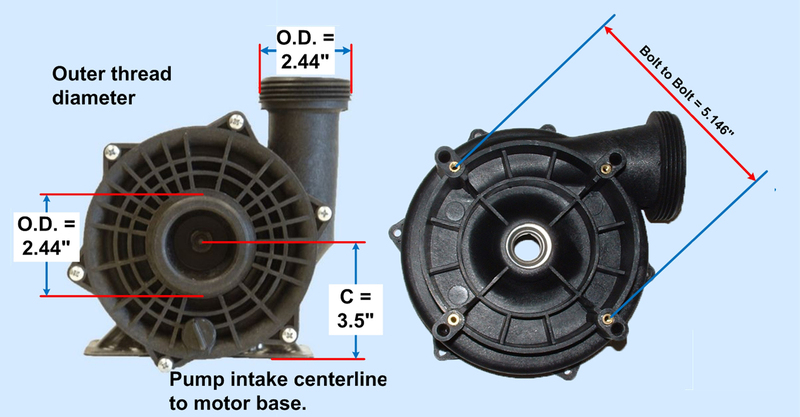 The BN34 is a pool and spa pump motor, 2HP on high speed and 0.25HP on low speed, 3450 RPM high speed and 1725 RPM low speed, 230 volts, 48Y Nema/IEC Frame, Full Loaded Amps 8.0 on high speed and 2.6 on low speed, Thermally Protected Auto-Reset, 1.0 Service Factor, 0.5" Shaft Diameter, 2-5/16" Shaft Length, Insulation Class B. 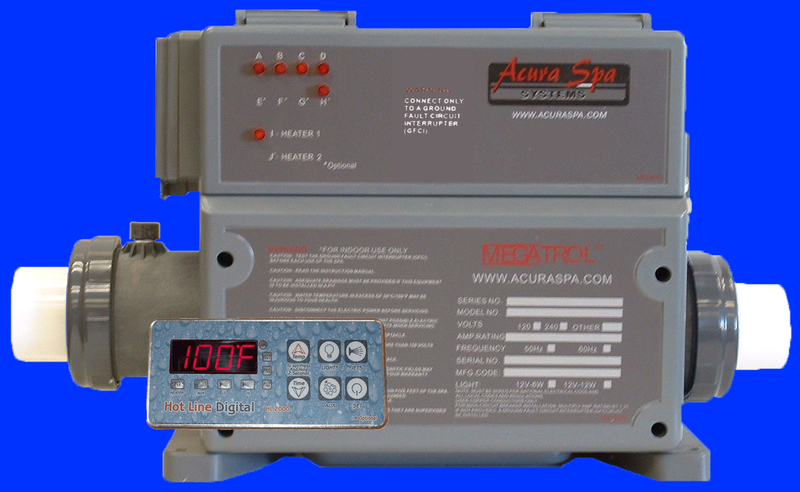 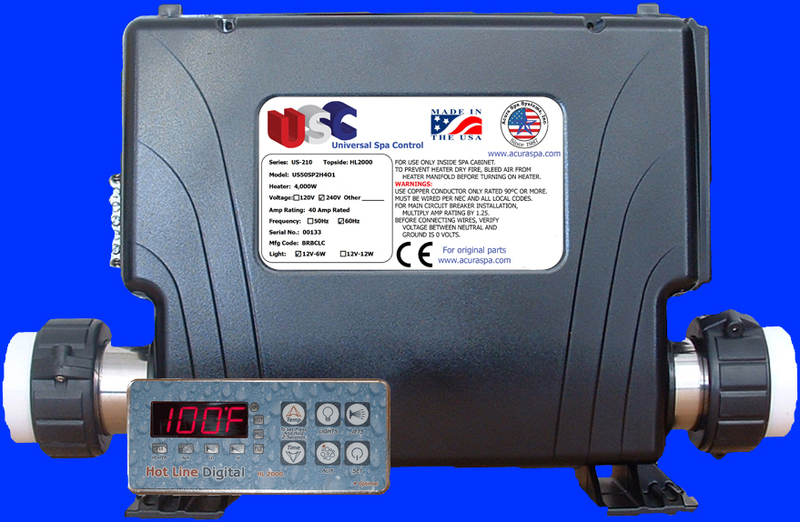 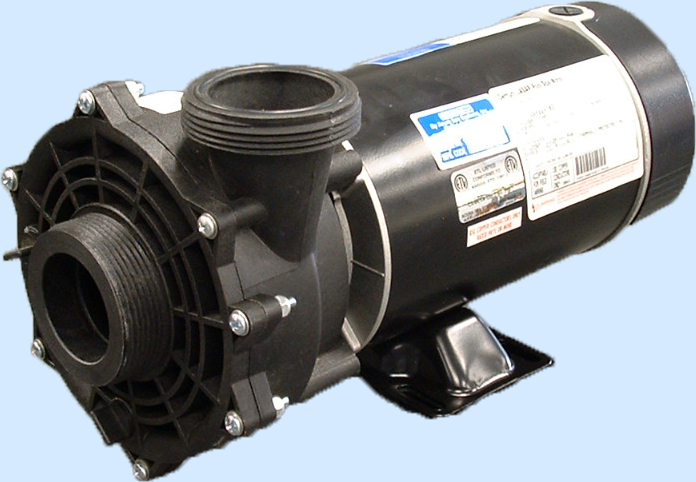 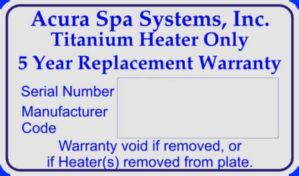 For years the BN34 has been used by Hayward Pool and Spa Pumps, Waterway Pool and Spa Pumps, American Products Pool and Spa Pumps, Zodiac Pool and Spa Pumps, Sta-Rite Pool and Spa Pumps, Pac Fab Pool and Spa Pumps, Vico Spa Pumps, Balboa Pumps, Aquaflo Spa Pumps, Gecko Spa Pumps, Premier Pool and Spa Pumps, Power Right Industries Spa Pumps and many other spa and pool pump manufactures. 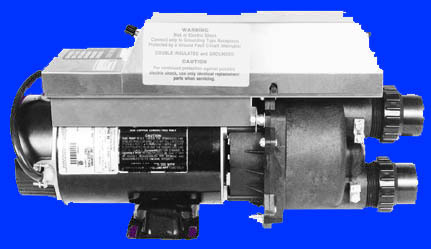 The BN34 was first introduced by Magnetek and continued to be produced by A.O.Smith and Regal Beloit. 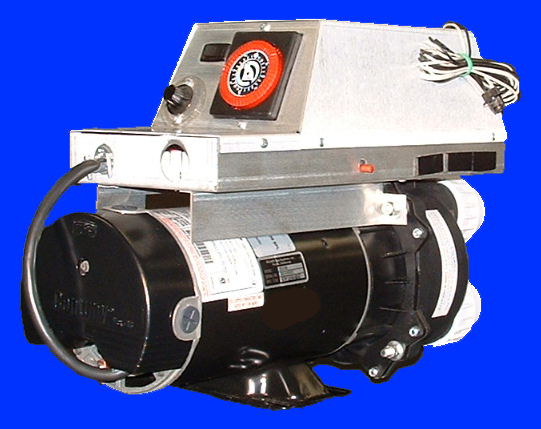 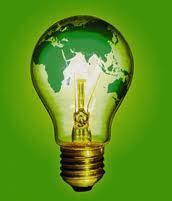 Currently it is produced under the Centurion name by Regal Beloit. 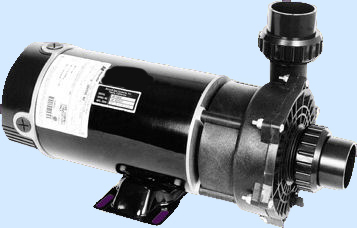 It replaces all 48 Frame through bolt pool and spa motors with the same specifications that are made by Emerson Electric Motors, Franklin Electric Motors, GE Motors, Marathon Electric Motors, Dynatech Motors, SNTech Motors.